Did you know that microgreens, also known as vegetable confetti, contain up to 40 times more nutrients than their mature versions? Microgreens Are Nutritious. While their nutrient contents vary slightly, most varieties tend to be rich in potassium, iron, zinc, magnesium and copper. Microgreens are also a great source of beneficial plant compounds like antioxidants. Not only do microgreens add contrast, flavor and beauty to your plate, they also pack a nutritional punch. 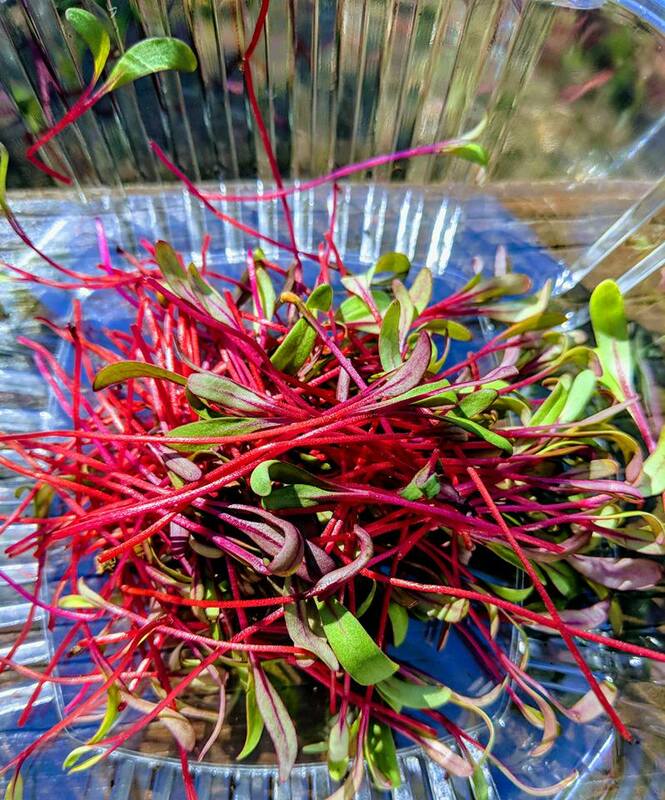 Our microgreens are organically grown in Columbus, Indiana, from non GMO seeds, and no fertilizers or additives are used in the growing process. Our greens are hand picked daily and delivered to restaurants and caterers in Bartholomew and Brown counties. Our customers include top chefs who use our products to perfectly compliment their fine food. We supply live greens in 11″ x 23″ reusable flats and also ready to serve in 2oz clamshells. Interested in ordering? Contact us at sales@lakegreens.com or call 812 341 9352.